Approved, tried and tested, referenced Oracle professionals in the Middle East. Operating in the Middle East since 2010 with an unrivalled knowledge of the market. Vertical specialists since 2007 with deep knowledge of Oracle’s product stack. We work hard to stay ahead – we already know the candidates who can fulfil your requirements, we started looking for them in 2007! We’re confident that within a few hours you’ll have a short list of impressive CVs and that you’ll be working closely with one of our Oracle Recruitment Specialists, contact us to experience for yourself why we have an enviable 99.8% client retention rate and are winners of several industry awards. We can provide Consultants across all Oracle skill sets on a permanent or interim basis, for any location in the GCC – United Arab Emirates, Kingdom of Saudi Arabia, Qatar, Bahrain, Kuwait, Oman. We have a growing network and relationship with over 15,000 Oracle-skilled professionals built across our 9 years in business. 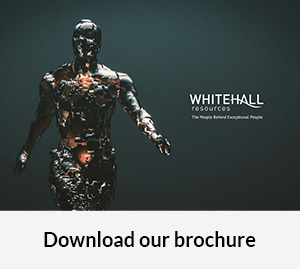 Whitehall Resources consistently provide a broad range of consultants with a close match to the requirements specified which eliminates the need for rework and recycling. The team demonstrate an excellent knowledge of the Oracle market and have proven insight in sourcing key resource for key positions at short notice and within budget constraints.